I was at an interesting gig yesterday. I was introduced by a friend to several new options to engage with an audience, and options to interact in engagement, not mere presenting, we got to see true engagement. Several solutions that by them self are impressive enough, but combine the abilities we see options for engagement that will knock the socks off from players like Marvel and Nintendo, options that large players like Microsoft set aside for too long, options missed by some players as they are pushing for similar results again and again. Yet like the failures of Ubisoft in the past, as I stated it ‘a game that was designed to not be a failure will in equal measure never become a true winner‘, Ubisoft learned that the hard way with the their Assassins Creed franchise and now, we see opportunities that EA Games could get with FIFA19 and micro transactions, not just that, the act of engagement would allow for plenty of additional visibility towards groups that are currently not considering certain products. Engagement has always been the primary key in that and I saw a truckload of that, much of it in a new wardrobe that fits basically everyone. So even as some are given to be a display towards retail, they have the ability to be much more, this is a marketing dream and all available for so many participants before this year’s Christmas shopping spree sets in. Options that are more than just engagement, they are optional content distributors, unlockable gems that people in certain areas love, a simple image that can immediately translate with you in the foreground and your destination in the background, combined send as a postcard to your mobile on the spot. It is a simple setting, where an RFID scanner that could instantly reveal what the Nintendo Amiibo offers to the customer in store, not relying on dodgy third party lists, one Nintendo list and places like EB Games could in store reveal what the person is buying. The applications are here and not in the stores, not used by players that could gain the brand additional momentum, so what gives? Well, for the most retail and larger places are seeing these devices and solutions as a cost, which they are (to some degree), but they in equal measure forget the opportunity that they bring. If we consider Market Watch (which I question), we see the setting that the games market, in particularly the Augmented reality Gaming Market, we see a forecast where we are treated to “According to Infoholic Research, the “AR Gaming Market” is expected to reach $284.93 billion by 2023, growing at a CAGR of 152.7% during the forecast period 2017-2023“, I still think that this is ludicrous, I have zero percent faith in that, or to state this that I am predicting that this is 100% wrong. Gaming is a 135 billion dollar market globally, if we get “expected to reach $75 billion by 2023“, then this would be an awesome result for AR gaming. I am certain that Infoholic Research did not just get their wires crossed; I feel that they are buttering someone’s bread on both sides. In both normal gaming and gambling, we see that there is a trend on the rise and some of the systems shown yesterday can grab in on these potential markets in several ways, it is up to the creative marketing mind in the larger places to use this not merely for branding, but also for creating awareness and grow interest through engagement. 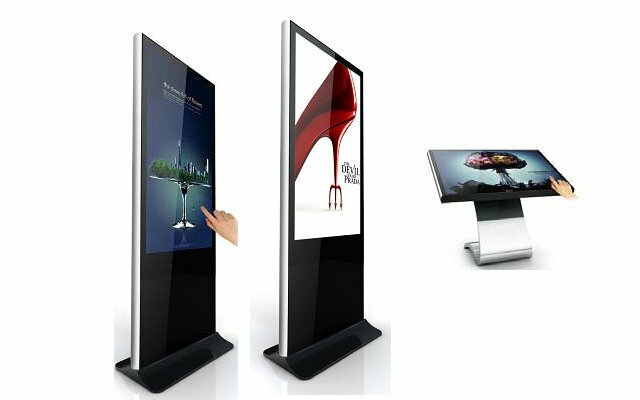 Consider that this goes further than mere advertising and branding, consider the information kiosks, you might wonder what a mere information kiosk could add. The new generation can also scan you or what you are holding. A logo, a brochure, or merely a QR code. These parts can immediately be converted to a shop with location, a digital travel brochure that can be interacted with on the screen or merely a QR code that your mobile device can scan, giving you the app, the additional information or a mere YouTube video to watch. All options actively available now and when you place such solutions in a place like Neom (for those not in the know) “Neom is a planned 26’500 sq. km transnational city and economic zone to be constructed in Tabuk, Saudi Arabia close to the border region of Saudi Arabia and Egypt“, and Saudi Arabia has set aside 500 billion for the creation of that city. The option of being the first and more important, setting up the 5G hub allowing a primary spot for a 5G growth in both Egypt and Saudi Arabia, a place where Huawei is already roaring to set up shop, they have the lead there, and now consider that the push from the Saudi Arabia government is all about being ahead of the rest, the smartest of all smart cities and it will not take long before they realise that to get ahead of all the others you need to be willing and ready to have solutions for engagement there, primed, active and ready to grow. More important, three months ago, we were treated to “Chinese tech conglomerate Huawei is already committed to training 1,500 local engineers over the next two years“, so this is one place where Telstra got in way too late, as did the European players. The hub for a 120 million customer 5G population, when I mentioned this in the beginning of this year I was not kidding. Now we see that certain paths have started, we need to look at how you can get a smart city population to engage, because that is the trigger for growth. This directly relates to gaming as gaming is the big equaliser here, it has always been that, as early as the early 90’s. For 25 years I have seen how gaming and engagement lowered the threshold for those nervous about technology and yesterday I saw a whole range of engagement opportunities. Not merely interactions and RFID application in other ways to show interaction, but a setting where it pushes non-personalised data to a tenfold and that data can push the curiosity towards engagement for everyone. 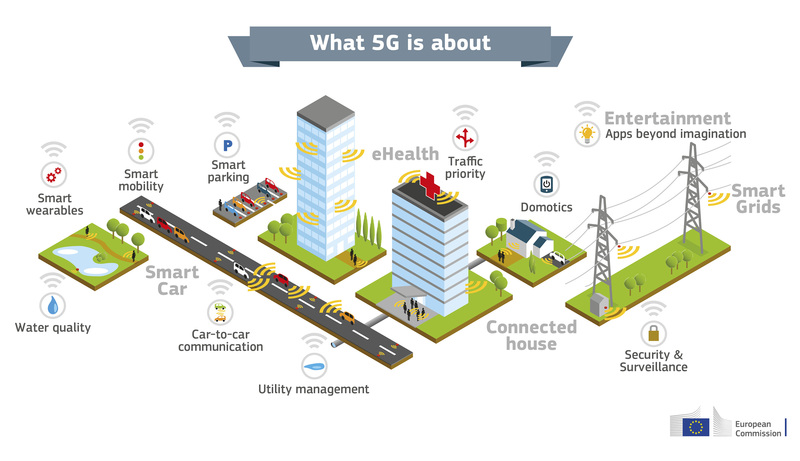 When he European commission gave us the ‘What 5G is about‘ most looked at it and thought ‘Nice!’ what they missed is that is goes beyond mere RFID and Domotics. The direct interactions of Smart Wearables, Smart Mobility, Smart Grids and Smart Parking show that when the car is low on fuel (or an almost empty battery is you have a Tesla), the SATNAV will reveal the closes fuel point, or warn you if you cannot make it to the homestead, the smart wearable can link directly to health care, the nearest pharmacy, the doctor allowing for a prescription on the spot, the phone that now shows a map and receives the information YOU wanted to engage with from a kiosk that is now also a data hub and transfer point of information, all on the fly without YOU having to type anything, all done intuitively on the spot. In all this, you remain in charge of your data and (except for the healthcare part) all null and void of actual personal data. 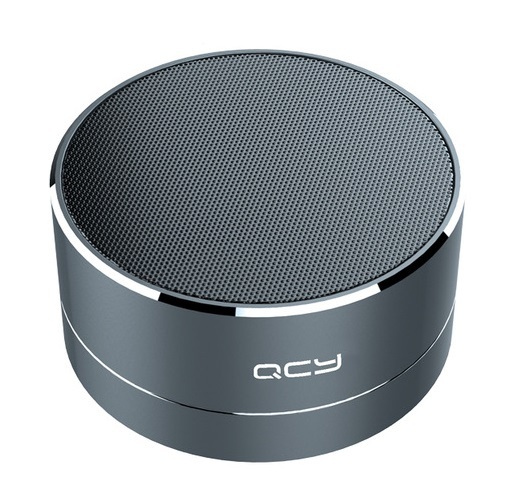 Let’s take this to a next level, some have seen something like this, it looks like an old amplifier volume knob, but it is actually a Bluetooth speaker, place it on nearly any table and it becomes an amazing speaker, yet the next level is not merely a speaker, it is also perfectly placed to be a data hub. Now combine that with a sheet of Perspex as a display (at https://www.youtube.com/watch?v=fdDAG0uwg3s), when we combine the three, we get the information on the kiosk, transferred instantly to your ‘speaker’ that is also the data hub and displays the information on that sheet display, wearable or other option. Maps, data, and brochures, all instantly available; Google already owns that solution, a solution that is merely awaiting implementation. A setting driven by what I would call ‘dumb’ smart devices. All the fear of personal data gone and total interactivity remains, engagement and the ultimate lure that draws consumers into your business; that is what engagement allows for, no other way will get that great result because that is the advertisement of tomorrow, not the data they hold, but the curiosity that they bring, all linked to the need for engagement. All those people, millions, who would walk in because your window had something interesting to show, yet now it is not your window, your window is also in every data kiosk, every advertiser point and every screen. It is no longer about the mobile, people are less trusting with their data, but a smart (dumb) device, their watch, their Pendent or ring, now a data hub and consider that the 15 mm for a micro SD fits into rings, pendants and watches, all optional long term data hubs on the go, without any long interaction and we can get 32 GB for a mere $5. Picking up the ideas and interacting from place to place, our shopping needs and information on the fly when YOU want it; the data kiosks merely one of many places to interact with the addressed needs everywhere. All settings not yet available in such an advanced state and all options out in the field for those willing to be the enterprising in the new places where they are willing to spend $500 billion in total, to make a next gen tech hub a reality. Or as Jeremy Irons stated in Margin Call: “There are three ways to make a living in this business. Be first, be smarter, or cheat“, he said it and I agree, it is always best to be first and whilst some are still trying to market what they are trying to set as 5G, we see that Huawei who are setting the stage on what 5G could be, Huawei s in the implementation stage of preparing the engineers of setting it all up in a live environment. So whilst America is still in anti-China mode, we see “Now, the whole industry is taking the final sprint towards 5G commercialization. The completion of SA specifications which complements the NSA specifications, not only gives 5G NR the ability of independent deployment, but also brings a brand new end-to-end network architecture, making 5G a facilitator and an accelerator during the intelligent information and communications technology improvement process of enterprise customers and vertical industries” and Huawei has already started in Saudi Arabia, so my other prediction is coming to pass as well, By Q1 2019, Saudi Arabia will become a market leader in 5G and will connect with Europe soon thereafter. In all this Australia things will go from bad to worse, especially as we cannot tell whether we need to consider if people like John Watters, Executive Vice President and Chief Corporate Strategy Officer of cybersecurity firm FireEye Inc is bedding Telstra or the USA, the fact that no one has been able to produce any clear evidence in Huawei’s ‘dependency’ on the Chinese government and the overly fearful US Tech as well as Telstra in all this is more than what I consider to be merely a sham, they are currently quite the opposite of embracing engagement and new tech, it will end the end make them look like the fools they should have been trademarked as in 2017. So as we might remember Telstra at IT News with “Telstra said in a slide deck that “full commercial deployment of 5G in capital cities, major regional centres and other high demand areas” would occur in financial year 2020“, we can now see that they will be almost a year behind Huawei. Al this angers me, merely because it stops advancement and innovation, which makes Saudi Arabia the one remaining golden opportunity for true 5G innovation and yesterday’s presentations showed me how much many more avenues can be approached, because some of the innovations are out here today, in some cases, merely linking the solutions remain. It is important that we consider the Huawei part a little longer, it is important because 5G is so crucial to all this. When we see the article (at https://motherboard.vice.com/en_us/article/59w49b/huawei-surveillance-no-evidence), we see that the title gives us: ‘There’s No Public Evidence Huawei Spies on Americans‘, in addition we see “Huawei’s efforts to make inroads in the U.S. quickly resulted in numerous allegations over the company’s alleged connections to Chinese intelligence. Despite breathless hysteria, numerous investigations (one 18 months in length) found absolutely no evidence of such a threat.“, as well as “a follow up report by Reuters indicates that there has been pressure applied on U.S. telcos to avoid doing business with Huawei, with companies like Verizon and AT&T being told they risk losing their lucrative government business contracts if they strike deals with the massive Chinese multinational“, when we complete it with ““We knew certain parts of government really wanted (evidence of active spying),” one person familiar with the probe told Reuters at the time. “We would have found it if it were there”“, now we see the parts missing, in all this the Australian government needs to be optionally seen as a dog collar without a leash around the neck of a rabid dog named USA. This all smells like AT&T and Telstra in desperate need to not get drowned by an actually innovative technological opponent, who did just that, they became truly innovative. We need Huawei in all this more then most can comprehend. To get this a little better, we need to look at ‘Media Engagement and Advertising Effectiveness‘ by Bobby J Calder and Edward C Malthouse. Here we see “Traditionally, marketers have thought about advertising as a process of translating a brand, expressed as a benefit, a promise to the consumer, a value proposition, or a positioning in the consumer’s mind into a message that is delivered to the consumer through some medium. This advertising will be effective to the extent that the consumer values the brand idea and the message does a good job creatively of communicating the idea“. Yet when we consider it more fully, we see: “It is engagement with a TV program that causes someone to want to watch it, to be attentive to it, to recommend it to a friend, or to be disappointed if it were no longer on the air“, through engagement, the TV Series Lucifer was not cancelled, it moved from Fox to Netflix, merely by the acts of engaging fans. Engagement can be that powerful and it goes beyond merely revitalising a TV series, it will be the bread and butter for most companies as growth is often seen as linear with ‘advertising’ whilst we have to accept that exponential growth can only be achieved with an actual engaging audience. Because like in Facebook, that one engaging person is linked to dozens, if not hundreds of others, and their actions are more easily accepted by their close connections then the one advertisement is. In two stages this is seen that one engagement is optionally 900 hits in a low estimation, versus a mere advertisement that gets 5% out of 10,000 shows, so it took 10,000 attempts to get 500 people taking a second look, whilst one engagement event could be the start of 900 instant opportunities, so which option would you more likely turn to? Yet, we must also be aware of the negative side in engagement. Calder and Malthouse give us that with: “Intrusion may produce a negative response from consumers because the advertising harms the experience of the media content. This in turn could lead to a negative reaction to the advertising, compromising its effectiveness. The consumer may feel that the ad has intruded on the experience with the content and accordingly may have a less positive reaction to the ad“, so in this the interactive kiosk becomes again not merely a vehicle, but THE vehicle in all this and Time is the one currency that is at the centre of it all, it is time that usually and largely triggers the intrusion emotion (waiting, or idle time tends to do that). With the smart ‘dumb’ devices, the automatism of storage whilst the interaction is merely a second, perhaps even two seconds. The element of intrusion decreases and engagement remains, or optionally even increases. It is achieved as the advertisement is not the focal point, but merely part of it and the experience is not impeached, as we get 125Mb in that one second, we get the brochure, the movie clip, the setting, the review and the applicability; all available to watch at our leisure and when we want to decide what to see and how to watch it. So from a $5 32GB Micro SD card, we can get more with a $100 200Gb card, and that is now, in 2-3 years we can get 5 times that storage for the same price. In this non-personalised interaction setting, we achieve to get heaps of analytical information whilst driving engagement. So in that we are confronted with all the latest trailers by merely passing a cinema. And we can just leisurely watch what we need and wipe the rest. It is a brand new day and those ahead in the game get to set that stage of new tech needs for an entire population, engagement is the key element to drive all that. The future arrived yesterday, whatever will we get treated to tomorrow?